You'll twitter with delight in this Adult Lady Bug Costume. It's the cutest way to celebrate your love for natures spotted insect! But be careful, all your twittering may attract a handsome bug catcher! This ladybug is feeling lucky. Everyone will be wanting to count all your spots when you're wearing this trendy red and black number. It is said that if a ladybug lands on you, you will have luck throughout the day so many will be hoping you buzz right up to them and bless them with some luck. Remember, everyone loves a ladybug! Do you know that if a ladybug lands on you, you will have luck for the rest of the day. Imagine how lucky you'll be when you dress like a ladybug. You'll have a sack full of treats and a huge smile on your face while you flutter from house to house. Meet up with your other insect friends so you can form one big buggy group! She'll be too cute to resist in this Infant Lady Bug Costume! Add black or striped tights and our lady bug shoes for even more cuteness. 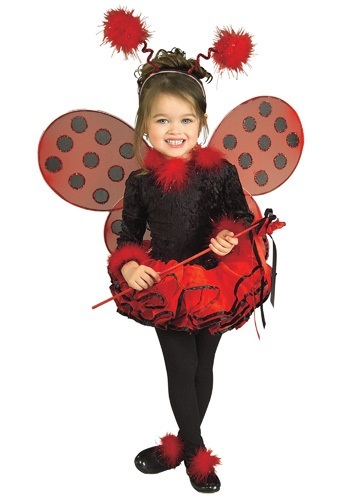 Check out all of our insect and animal costumes for the perfect look for your little one! In every garden you will find the cutest of little bugs dancing about. These red and black insects are known as ladybugs and they are there to add life to any bed of flowers. But why do they choose gardens to play in? Much like people these tiny little guys also love to look a pretty flowers. Now your little tike can become one of the most adorable bugs ever in this tutu costume! What's that fluttering about? It's a cute little ladybug! Come up with your own creative and cute ladybug costume with the aid of this helpful Ladybug Kit! Did you know that ladybugs are considered good luck in many cultures? She's sure to love running around bringing luck in this Ladybug Tutu Set. This coordinating set comes with every thing she needs to become the queen of the ladybugs! If you've had the good fortune of having a newborn in your life you're going to want to have them looking cute as a bug. And what better way to do that than to dress them as a bug? This bunting will have them looking just like Lexi the Ladybug, who was the cutest in all of the insect world. 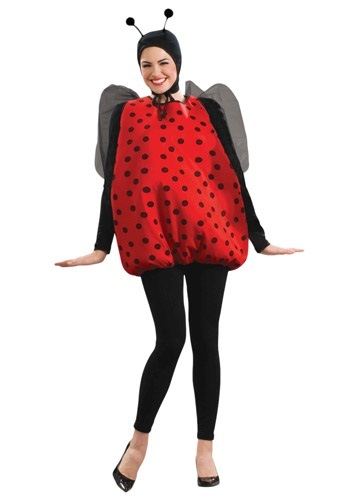 Your lady bug will be ready to fly in this Love Bug Child Costume. It's a fun way to celebrate Halloween. Ladybugs are the cutest bug you'll ever see. Their red shell with black polka dots also make these little insects the most fashionable. Now you can get your little baby into the Halloween spirit with the help of this adorable bug costume! 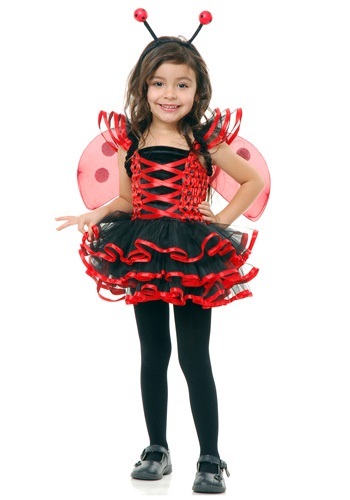 Turn your child loose in the Halloween garden in this Toddler Lady Bug Cutie Costume! She'll be cute as a bug, even though--little-known fact--ladybugs aren't really bugs. They're beetles, which are different in several ways. 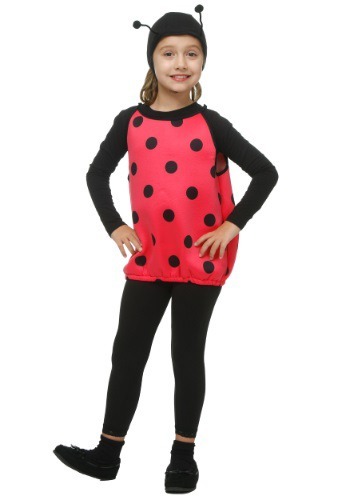 The garden will be happy to have a new edition when your little girl puts on this adorable ladybug costume. She might not rid the garden of aphids, but a sweet little dance or two in this cute outfit should make the plants feel a little cheerier, and she'll definitely make you feel a little cheerier. Everyone knows the most daring bug in the insect world is the ladybug. That bright red flair, those mesmerizing polka dots and those cute antennae - it's no wonder everyone falls in love with the lady bug. Just don't expect this one to take care of the aphid problem in your garden.